Last Saturday I caught up with Dorothy & Linda for a coffee after CAG, and was roundly scolded for not having posted recently. 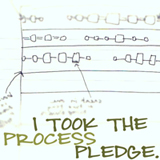 While I had many excuses they all fell on deaf ears! As a web developer and trainer sometimes the last thing I want to do on ‘my time’ is be at the computer. And sadly, at the moment I don’t have have much to show as I’m busy putting on and sewing binding down. 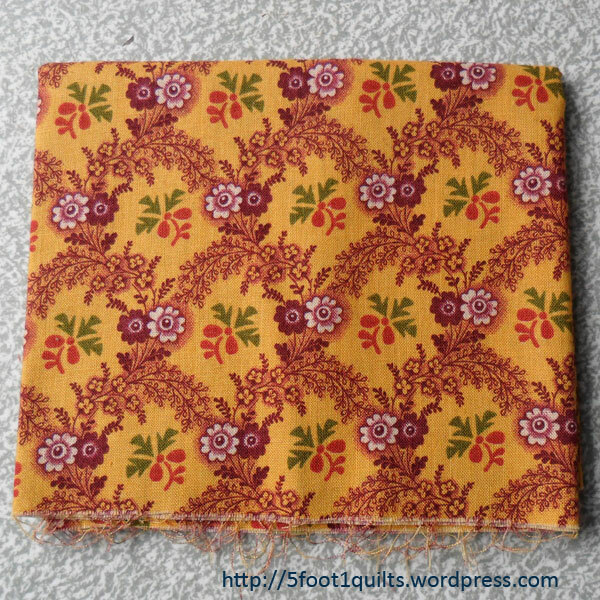 But, I have been adding to my stash as well as adding to my museum collection fabrics. I’ve picked up some Smithsonian I didn’t have or didn’t have much of. I also picked up some DAR Museum Collection by P&B Textiles from 1998. These have been on the shelves for some 14 or more years! 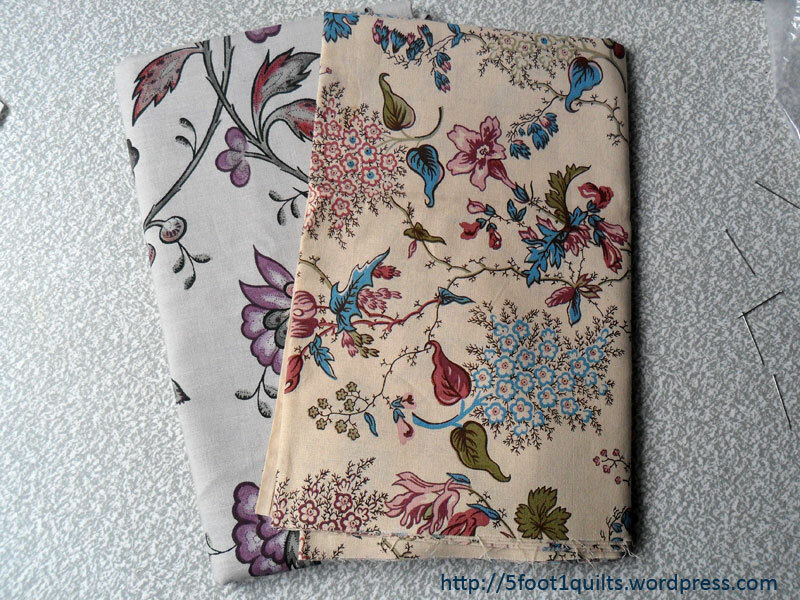 Some fabrics I failed to buy when they originally came out that I picked up recently. For interest, that last brownish piece of fabric was originally produced by Windham in their ‘Empress’ range by Nancy Gere, not sure which year. It came in pink, blue and this olive/khaki/drab green colour. Note the difference in the background. Empress had fine line grounds on a ecru background, whereas the ‘Canterbury’ range by Robert Callaham above, was much deeper & richer in colour with a smoked or mottled background. I have some of it in green, limey/yellow and now brown which will be perfect for stems in some future project. And last but not least I picked up this tiny bit of floral fabric which I just love and would be perfect for a new design I’m keen to start, after I start & finish those Kaffe Baskets I’ve already cut out. Do you know who the manufacturer or the name of this fabric? If you do please let me know. I’m really keen to find more. 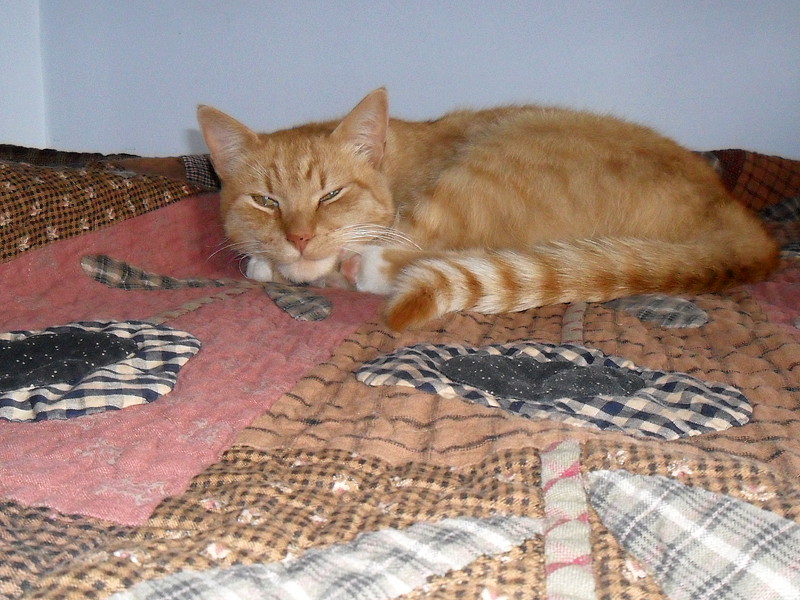 And last but not least a message to Dorothy & Linda from Tigger. I heard about you two and your heretical ideas, and I'm not having any of it! yes the fabric , the last one , is from a very early Windham line actually when that came out they were probably still Baum . I have some in my closet and use it sparingly! l taut l taw a puddy tat!! So where did you find the older fabrics you recently added to your stash? The secondary market for fabrics has got to be alive and well in both the UK and the US by now; perhaps even in Japan! 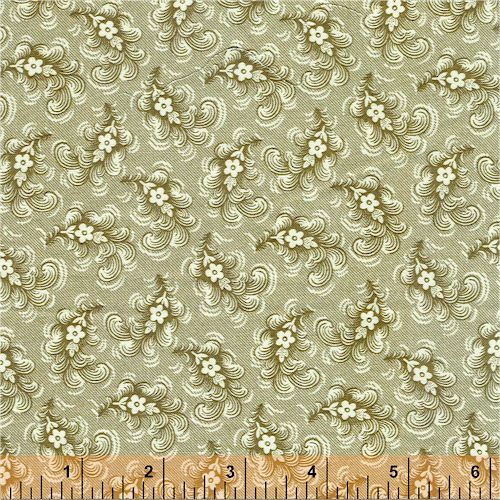 Lots of my recent Smithsonian fabrics have come from an eBay shop. Margaret and I have just about cleaned Sherry out. I also often do a web search for something and find all sorts of treasures. Many of these fabrics either didn’t come to Australia or only a few shops had them. 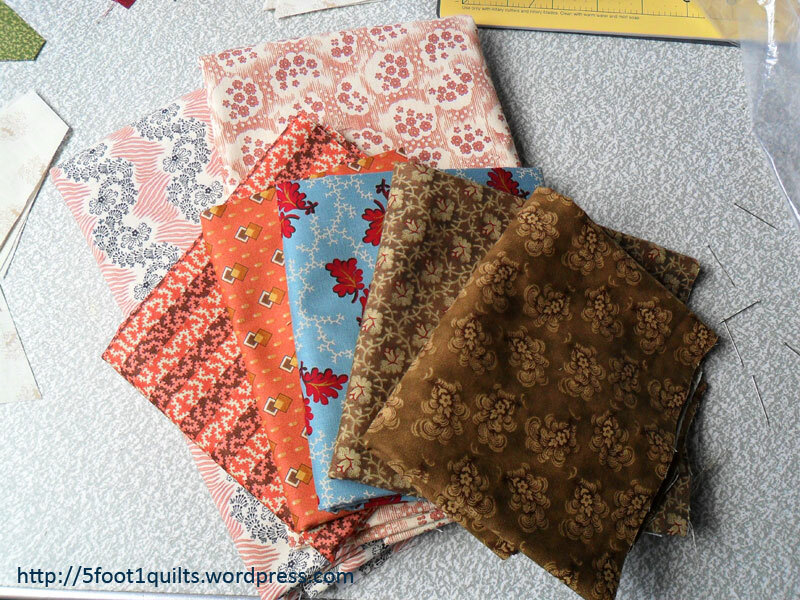 I also had a break from quilt-making for about 8-10 years so missed so very many beautiful fabrics. So I buy what I can when I see them. You’re right about that secondary market. Also we pay anything from $20 to $25 a metre, which is just short of a yard for fabrics here. I also often do a web search for something and find all sorts of treasures. Many of these fabrics either didn’t come to Australia or only a few shops had them. 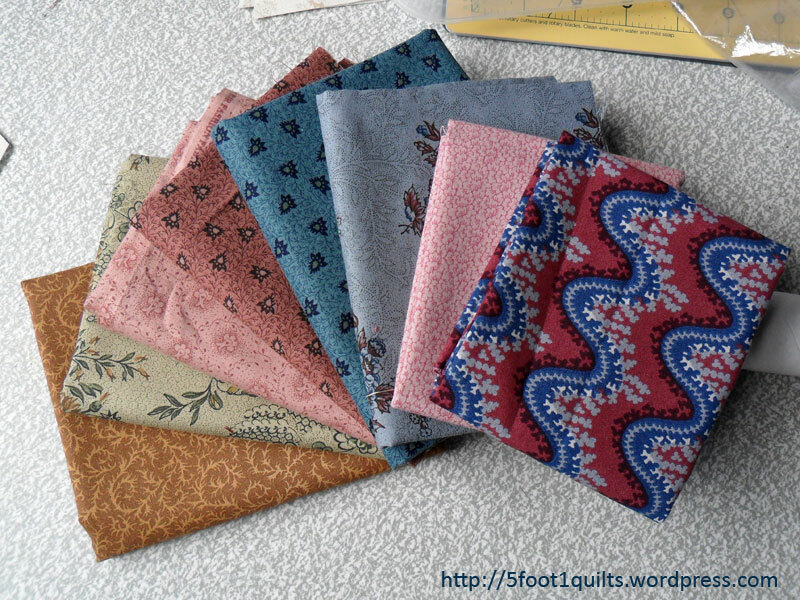 I also had a break from quilt-making for about 8-10 years so missed so very many beautiful fabrics. So I buy what I can when I see them. I’ve trawled through the Windham Fabric Archives and haven’t found it. It could have been a Marcus Bros as they did alot of repros. I’ll post a query on ReproLovers perhaps someone will know. I remember many of those fabrics having been in my stash at one time or another. Good ones.